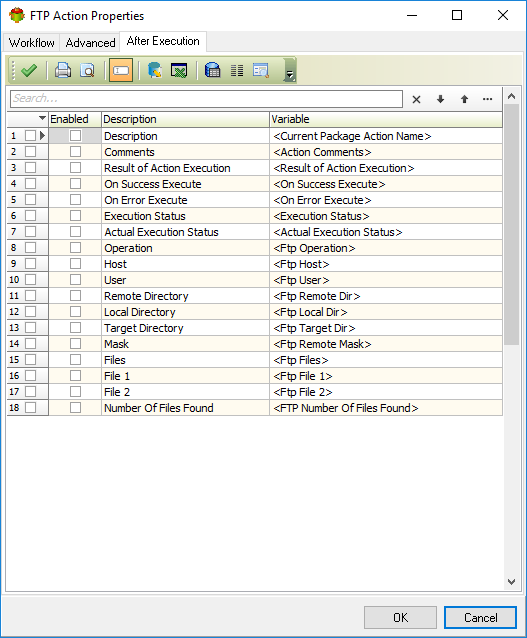 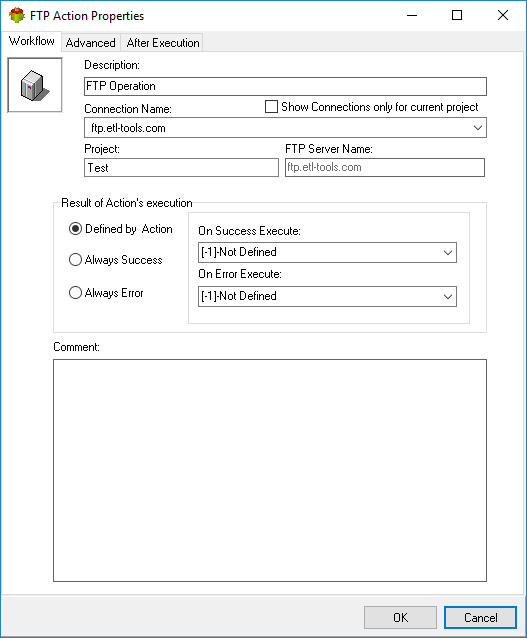 The Ftp Action performs various operations on the FTP server. 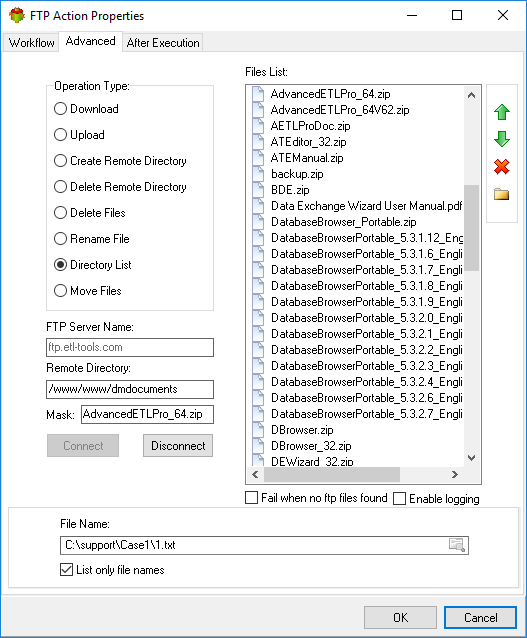 For example, using the Advanced ETL Processor's you will be able to download data directly from the FTP server. 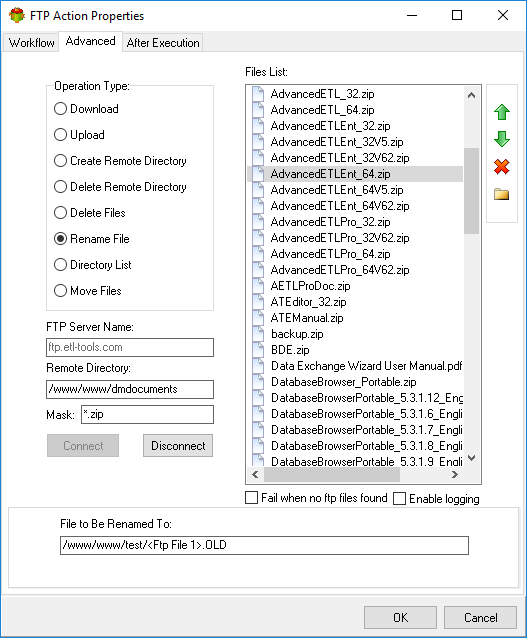 Click connect to view the storage content, buttons on the right allows to perform download, upload directory creation and delete operation.